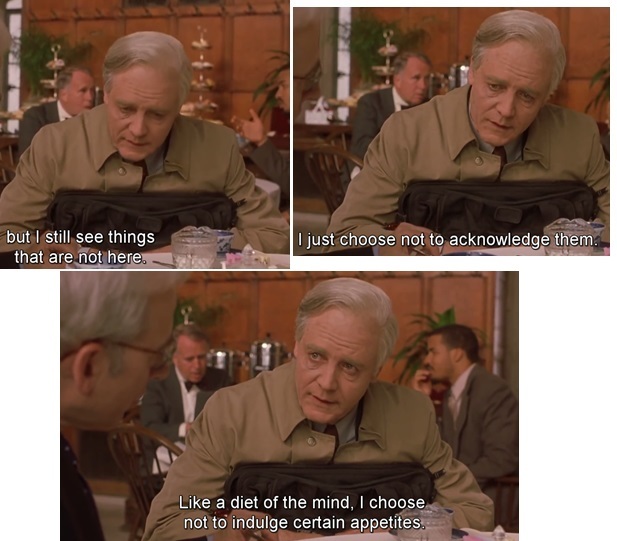 “A beautiful mind” is a movie loosely based on the life of the Nobel Laureate John Nash. In an earlier article I have written about how it depicts the journey of a human mind through the three stages of creativity, madness and awakening. In this article, I would like to bring five tips on mindfulness that we can learn from this movie. Nash is arguing with his psychiatrist and asking, "Why can't I reason my out of this (schizophrenia)?" Psychiatrist is quick to point out the paradox, "Because your mind is where the problem is in the first place." Thought is distorting our perception. Hence, we can’t use thought as a tool to investigate the distortion. It is like dressing up the thief as a police in order to investigate the theft. Mindfulness suggests that we use attention or awareness as the tool to investigate what’s going on. Martin, Nash's friend, asks him if the hallucinations are gone. Nash says that they are not gone but he has stopped feeding them and as a result they have given up on him. Mindfulness is about watching how you are feeding your dreams and nightmares for them to stay alive. 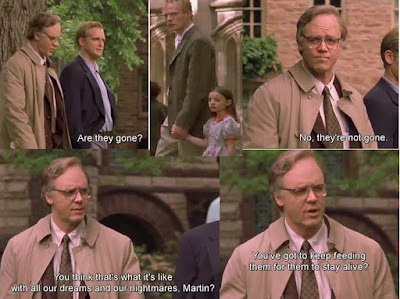 If the feeding stops, the dreams and nightmares lose their power. Nash is approached by a person outside his class whom he has never met. Nash is suspicious of new people. So he double-checks with one of his students if she is able to see this new person as well. Only when she confirms does Nash proceed to have a chat with the visitor. Mindfulness involves being aware that the current perception may be a distortion of the reality especially in surprising situations. And it remains open for alternate views and opinions. 4. Are you crazy? Yes, it’s possible! Nash clarifies the situation to Thomas King. He still sees things that are not there but he chooses not to acknowledge them. Mindfulness is a process where one is alert and attentive all the time. This is similar to what Nash calls – a diet of the mind. If you are on a diet, you are alert all the time as to what you are eating. Similarly, here there is alertness to check if the thought or voice in the head is worth "indulging in".